The Sony RX Cyber-shot series is possibly one of the best cameras ever invented that packs some amazing specs into a compact body, giving excellent image quality without the need to carry around multiple lenses. Sony recently announced a brand new RX10 that packs the same 20.2MP 1” BSI CMOS sensor as the RX100 Mark II, and is equipped with a fixed Carl Zeiss Vario-Sonnar T* 24-200mm (35mm equivalent) F2.8 lens, allowing you to literally capture everything near to far. The RX10 may look compact, but its wide F2.8 maximum aperture right across the zoom range can offer you the versatility of having multiple lenses from wide-angle to telephoto. Whether you are capturing macro shots of flowers and insects, or atmospheric portraits, dramatic landscapes, wildlife, street scenes or naturally-lit interiors, it is able to churn out the best pictures with a focal range starting from as near as 3cm. But photography is not the only thing the RX10 is good at. It also offers quality video capabilities, capturing Full HD shots at 50p or cinematic 25p frame rates, with full control over P/A/S/M exposure modes. A ‘clear’ HDMI output allow videos to be reviewed on an external monitor or recorded to a separate storage device. The RX10 also offers superb audio quality as well, with a microphane jack and headphone output for accurate level monitoring. Other specs include a large, sensitive image sensor and evolved BIONZ X processing engine with 3x improvements in processing speed compared to previous BIONZ processors, a 1.0 type back-illuminated Exmor R CMOS sensor that is four times bigger than standard compact camera’s imager, speedy and responsive autofocus with the new Direct Drive SSM, lock-in AF, ability to capture Full HD (1820 x 1080 – 50p/25p3) movies, new 1440k dot OLED Tru-Finder plus 3.0-type tilting LCD with WhiteMagic technology, 4K photo output and support for TRILUMINOS display, NFC and WiFi connectivity. 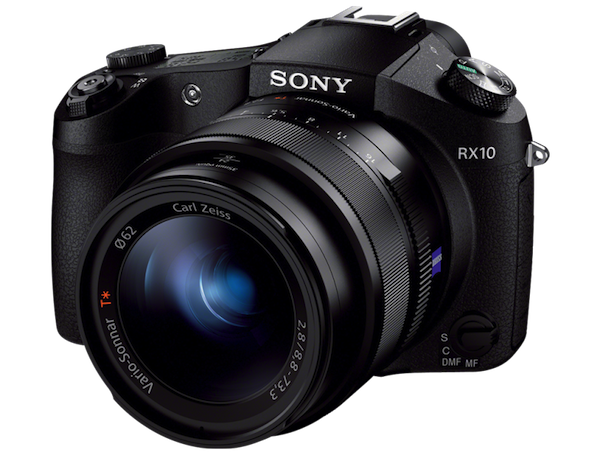 The Sony Cyber-shot RX10 will be making its way to Malaysia later this year (in December to be precise), retailing at about USD$1,300 in the US.